Looking at properties on the go? Click here to download our Mobile Search App. 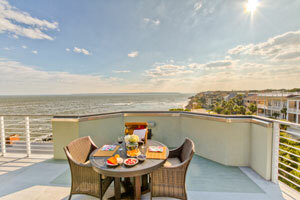 Get FREE access to all Coastal Georgia listings from your smartphone or tablet! Berkshire Hathaway HomeServices Hodnett Cooper Real Estate is the largest real estate company in Brunswick and the Golden Isles. Whether you are a newcomer relocating to the area or searching for a new home, we are pleased to help you get settled into a coastal lifestyle! The area known as “The Golden Isles” is comprised of St. Simons Island, Jekyll Island, Sea Island, Historic Brunswick and surrounding areas. Many residents have vacationed in the area for years with dreams of someday relocating to Georgia’s coast. Those lucky enough to call The Golden Isles home welcome them with open arms. Making the transition from visitor to resident is easy when metropolitan conveniences are paired with a small-town disposition. Neighbors say hello, people get involved with volunteer organizations and before long you won’t be able to visit the grocery without running into someone you know. New residents to St. Simons Island can join the well-established “Newcomers Club” with all sorts of planned social activities. After two years, many graduate to other established social clubs to stay involved. With an abundance of activities, natural beauty and strong community, the Golden Isles is an ideal place to call home. Located on the southeast Georgia coast, midway between Savannah and Jacksonville, St. Simons is one of the most beautiful islands with seaside resorts and residential communities. The miles of pristine coastline attract year-round visitors who come to enjoy the Island’s warm climate, shops, restaurants, historical sites and more. Residents enjoy the natural environment, history and culture that St. Simons and the surrounding Golden Isles offer. The city of Brunswick is a seaside town and boasts one of the country’s major ports. It continues its long history as a seafaring city with a bustling harbor that supports a rich seafood industry and a major port for container ships. It is the second-largest urban area on the Georgia Coast (after Savannah) and serves as a strategic military location and operational base for the Federal Law Enforcement Training Center. Historic Downtown Brunswick has much to offer with many festivals, events, shopping, restaurants and more. Jekyll Island is Georgia’s jewel on the coast. Owned by the state, only 35% of the island is to be developed. The island is most well-known for its use in the late 19th and early 20th centuries as a private escape for many wealthy American families. Now, many visitors come to Jekyll year after year to enjoy the activities, attractions and other regularly occurring events. Sea Island is home to the Forbes Five-Star Cloister on Sea Island and The Lodge at Sea Island Golf Club, a Forbes Five-Star and AAA Five-Diamond property. Known for championship golf and beautiful beaches, Sea Island offers residents and visitor private access with an established gated community for approximately 500 residences. Like many of the easternmost barrier Islands of Georgia, Sea Island is a popular escape for visitors year-round.